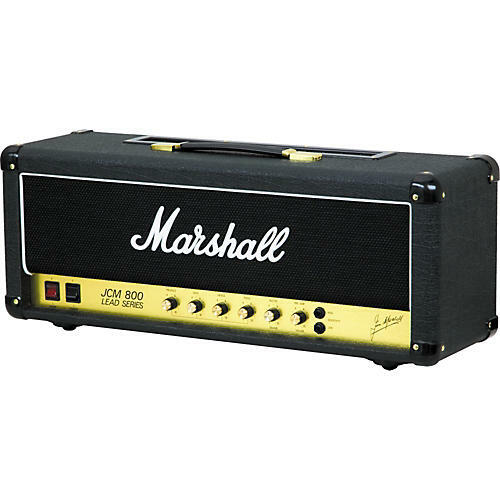 The all-valve JCM800 2203 is one of the most highly respected 100W Marshall heads in the company's long history. Evolving from the legendary Plexi head, it was one of the first Marshall amps to feature a master volume control. The essence of simplicity, the JCM800 is a one-channel, all-valve amp with no reverb or effects. Its easy control panel, distinctive roar, and larger-than-life edge immediately set the standard by which all other rock amps were judged and it remained the industry benchmark throughout the entire 16 years of its production life. Now it's back by popular demand and just like the 1959SLP and 1987X it has a Series Effects Loop with true bypass that takes the loop completely out of the circuit ensuring the original tone isn't compromised in any shape or form.